The University of Johannesburg Rowing Club took the Club of the Year honours when Rowing South Africa held their inaugural awards function in Johannesburg last weekend. Head coach Dennis Howard described it as an “incredible achievement” and said they had surpassed all their expectations for the year. He said the highlight was winning the overall University Sport South Africa (USSA) points trophy, which had been a goal of the club for many years. “This is the first time we have managed to win it,” he said, adding that their success stemmed from a combined effort by all the club’s members. Howard said the national recognition had motivated them to improve on their performances in 2017. 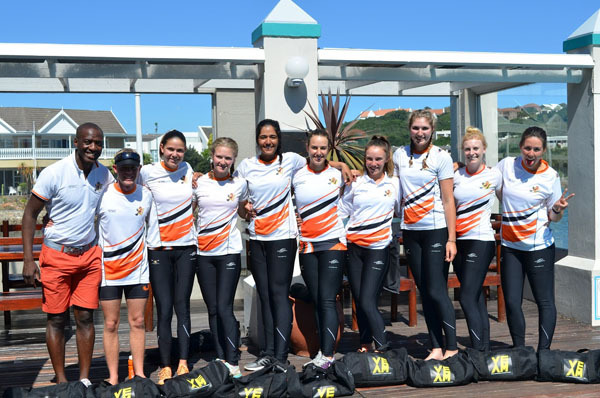 In preparation the UJ rowers will attend their annual December camp at Roodeplaat Dam, with their first assignment next year being the National Sprint Championships in the last weekend of January. He said the main challenges facing club members were to juggle their academic and training commitments. “Obviously if you want to win you need to train harder. By training harder you have less time for academics. There was a further feather in the cap for UJ when their rowing manager Carol Howard was named the Volunteer of the Year. This was in recognition of the efforts she has put into the UJ Rowing Club as well as managing a number of representative teams. She said she was “honoured and humbled” at receiving the award but paid tribute to many others who had contributed to rowing in the country. • Winners of the Dan Donegan Trophy at the SA National Championships (awarded for the overall points winners over numerous regattas). • Winners of the New Crab Trophy at the SA nationals (senior C division). • Second overall at the Eastern Cape Buffalo Regatta. • Overall winners of the USSA sprint championships. • Four blues colours (full USSA colours) and four grudge colours (half USSA colours) awarded at USSA sprints. • Winners of Universities Boat Race (women). • Men’s A eight voted most improved at Boat Race. • Robin Welch won Ian Maxwell award (best cox). • Overall winners of USSA for 2016 (total of all competitions).